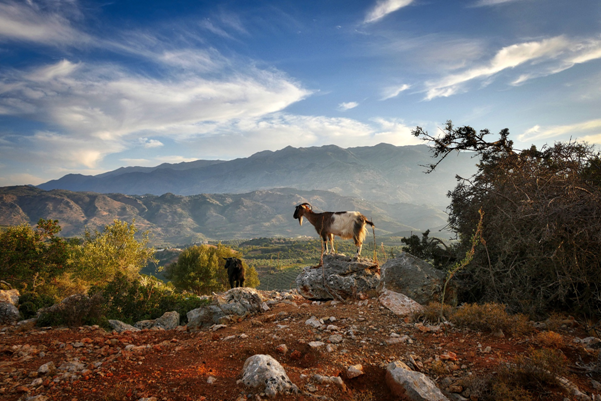 Whilst it might well be the largest and most popular of the Greek Islands, there’s certainly something very magical and unique about Crete. 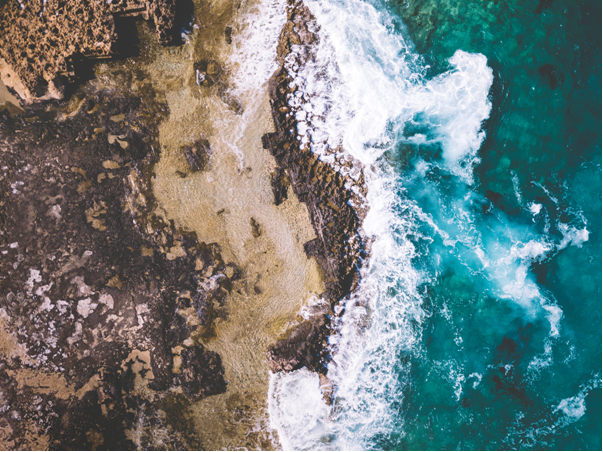 In fact, whether you’re stuck on your forever-unfinished piece of creative work or simply searching for a little inspiration, the beautiful island of Crete is the perfect getaway to recharge your mind, body and soul. Fondly referred to as “Cretativity”, the island of Crete really is in a world of its own and offers a little something for everyone; whatever you might have in mind to create that utterly perfect break from everyday life. 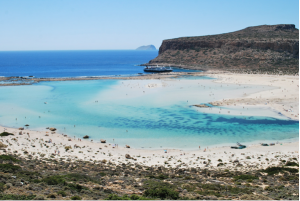 For those seeking the sound of gentle waves lapping on the shoreline then you’ll find an abundance of beautiful beaches in Crete such as Elafonissi beach on the south western side of the island, with its long stretches of soft pink sand; or the stunning Balos lagoon with its exotic white, vivid blue and turquoise waters. Why not jump in a rental car and explore? What better way to immerse yourself in culture than to avoid the all-inclusive package deals and live like a local? 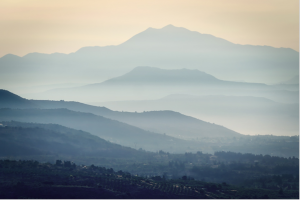 There are plenty of traditional Cretan homes on offer – find your sanctuary in the mountains and surround yourself with tranquillity and the smells of Mediterranean herbs and spices. Get inspired by the locally grown exotic fruits – mangos, figs, pomegranates, and avocados – and indulge yourself in this beautifully slow pace of life that is far removed from the normal sights and smells of modern life. Learn to cook fresh produce from the local markets, attend village events, or even a yoga class on the beach. New experiences are the perfect ground to cultivate new inspiration. Of course, being an island of adventure, there’s always plenty to do if you want to be slightly more adventurous. And nothing compares to taking a long walk, fully immersing yourself in your natural environment, to open up opportunities for ideas and inspiration. And Crete has some spectacular hiking trails! Home to hundreds of gorges that run down the Libyan Sea, including Europe’s longest – Samariá Gorge – there’s plenty of options to choose from! The Samariá Gorge is probably the most famous with its 4000 feet drop over 16 kilometres. You’ll pass through towering craggy cliffs and luscious valleys as you wind through the magical White Mountains, passing ancient churches, Venetian castles, refreshing springs, and wild goats. Loutro is a beautiful seaside village 71km south of Chania. Accessible only by boat (or by foot, if you’re up for the challenge), the island has beautiful beaches (most of which are naturist) and absolutely no cars or roads; making for the perfect place to kick back, relax and soak up the truly indulgent lifestyle it offers. 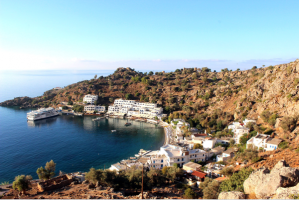 Due to its uniqueness, Loutro can get pretty overcrowded with tourists. My advice is to find your way to one of the many secluded cliffs that overlooks the quaint village. Bring a notepad or journal and get those creative ideas flowing! So, there you have it, just a few ways to discover creativity in Crete!